But those that hustle get there much sooner. Am I ambitious enough for this high stakes world? I’m not really sure. I definitely still have many things to accomplish, many things to prove. I feel as if my message hasn’t quite gotten out there yet, is still circling around in a current or acting as a boomerang, always coming straight back to me with a return address as if they aren’t interested. I hate those thoughts that say I can’t do something, that I’m crazy for even thinking I can. That’s the problem I have right now with wanting to achieve something much greater than myself, that I have to go to such great lengths to do it, have to enter quite a few scary situations, do a few crazy things to realize I can. Living in a small town is difficult for the dreamer because you don’t often have access to the people that will help you get over the barrier, you’ll often be faced with derision and feelings of hopelessness. There are many people around me that are negative about life, that have never realized their full capabilities. They are scared. Scared of change. They might as well become a product of the system than do anything differently. There are two sides to my family – the people that that took the road to a happy, fulfilling life of wealth and success, and the people that took the simpler path to a more average life that doesn’t have much in the way of prospects, is full of dead ends, but they are happy anyway. I’m tired of wanting to shut myself away from the world. I want to shine, but it’s always painful to come out of my comfort zone. Over the past few years I’ve been working to find a place where I am most comfortable, which has always seemed to be in a space where I am alone, but not too alone as to elicit depressive thoughts. Too much social contact tends to drain my batteries and I need to be alone to recharge. I hear it all the time: you have to be persistent, you have to keep working hard, you have to make them believe in you. There is always one more mile to go to making yourself better. Having an ambition means committing your life to accomplishing goals and knocking down barriers that are in your way. And the more people you meet and follow that have the same kind of dreams as you do, the more you realize they aren’t so crazy and ridiculous after all. What story do the things you wear tell about you? I wear a t-shirt, pants, black socks, and shoes most of the time though my wardrobe is quite extensive. My new Ronaldo hoodie is something I like to wear when it’s really cold out or when I just want to feel comfortable. This tells that I am a casual person. I don’t really care about getting too fancy or trying to impress anyone. Sure, I like to look nice when I go out in public and not look like a slob, but I’m not trying to change the universe or anything. Another year has come to remember the ghosts of our pasts. The 15th anniversary of 9/11 is more historical than ever, more rooted in mystery and awe. The real superheroes of that fateful day were the firefighters and other brave people who went into the buildings to try to save the ones that were trapped. It’s good that 15 years later we still stop to remember the events that shook the country for at least a month. 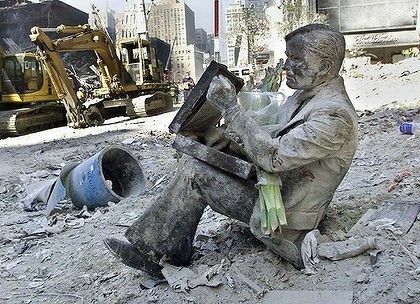 Just today, I have seen the horrific pictures taken shortly after the attacks, coming across them on a search for images from 9/11. I’m interested in watching the movie “Zero Dark Thirty” about the 10 year hunt for bin Laden, the mastermind behind the attacks. It’s supposed to be a true account of the events with of course some creative liberties taken by the director. What’s one piece of great advice you’ve read recently? Or what’s the best bit of wisdom you’ve ever received? “Always follow your dreams” – a message I saw on a billboard the other day while going down the notorious 1-94 in Michigan. Dreams are there to act upon. If you don’t wake up and start doing something about them, they will never come true. The dreamer is a hopeless soul; the doer is the one with most success in life. Dreamers believe but never achieve; Doers believe and go right ahead getting done what needs to be done. They don’t worry about the results – they learn to look at the bigger picture and see what they can do better. I want to be a doer but the dreamer side of me is still quite fascinated by the mythical thing known as success. A couple of times I’ve tried to act out these dreams of mine only to realize the tough reality: achieving them takes so much effort and a lot of luck. Much of achieving your dreams requires actually having other people around you to help, to collaborate and pitch in their own creative ideas. But when your people skills are not very good, going it alone always feels like the best choice, even if it would be extremely hard to achieve what you want to do. My piece of advice, based on my previous experiences, is to not let the negativity get to you. Shut out the voices that say you’re not good enough or not talented enough for your dream profession, whatever it is. Most of all, block out the haters that try to destroy your confidence and keep you from continuing on your path. Or leverage all of the negative talk and use it to make yourself the best ever. The grass is always greener on the other side – look to the alternatives to see what could be better. 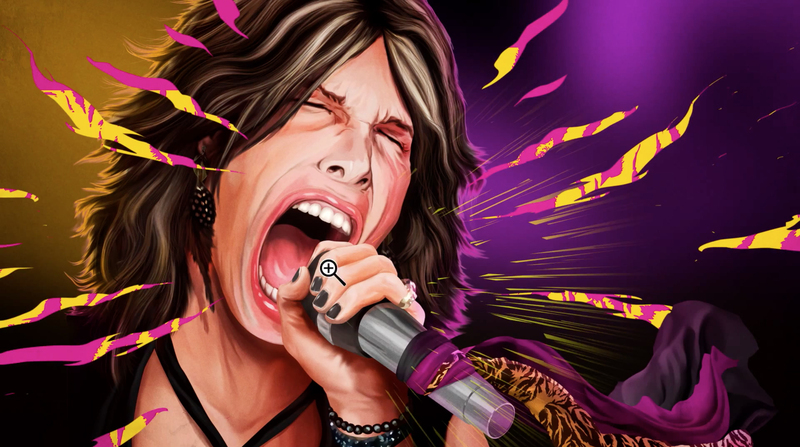 Aerosmith tells us to “Dream on…dream until your dreams come true” but the song should really be “Wake up…wake up and make your make your dreams come true”. Your dreams are hopeless without a plan set in motion. Like building a skyscraper, it always starts with a solid foundation. The door to eternal happiness is a fickle one. It seems to move all over the place like the target games at the fair. One minute you believe you have the answer, the next you are wondering if the path you chose was the right one along with thoughts of “if I could just go back and change things”. There seems to be no right path in life. There is no real answer. Life is what you make of it. You either win or lose based on your choices. It’s life and death and what you do in between is what really matters, is the difference between you being remembered or simply forgotten like a leaf in the breeze. The door holds a lot of mystery. A lot of white light. A lot of possibilities. I am going through a door but there is no definitive light at the end; there is a foggy mist of mystery. The light flickers and flashes but it doesn’t call out for me. I’m running into this mist with a sword and shield, ready to face whatever pitfall comes my way. The ground is shaky but solid – I have an idea of where I am heading but there is always doubt in my mind. Points are being laid out as I go. My internal GPS is directing me toward a far off location. Based off my immediate families lives, the destination could be living a normal life with a good paying job but no chance for advancement or the life of a perpetual loner who is set in his ways and has basically nothing else to look forward to but the most trivial, unimportant things – his life, for the most part, has never produced the sort of wings that allow one to soar over the mountains and explore all there is to know. He is trapped in a world of fear, unable to venture outside of his comfort zone. This comfort zone is crippling. It holds you back from living the most ideal life. You stand on the sidelines watching everyone else rise to unprecedented heights while you’re the one filling the water bottles wondering what might happen if you just take a chance. I suppose it’s up to me to figure out what I want to do. It’s up to me to figure out where I want to be in the next ten years, which is definitely not still sitting on this same couch brooding about what I could have done but in a place of my own thinking about what I’m happy to have accomplished. My journey through life is not complete yet. There’s still a number of plans I’m hoping fall into place once the means to achieve them become possible. I’m not planning on getting married for a long while, not until all of the pieces fall into place. I’m not even in the situation right now to marry anyone. It would be premature and kind of silly. Save the best ’til last and don’t waste the moment. I am in no way an expert at the social media game. To me, it is really too much at times. Social media has consumed my life since I was about 16 years old. I didn’t always like social media because of the privacy and anonymity of life suddenly being frowned upon. Not joining the online party meant that you missed out on some really cool things so it was really important to get in on the know and not miss out. The Internet went from a place for academia and solitary fun to a sprawling landscape of attractions, i.e. became much more crazier and a place to be seen. The anniversary of the “Social Media boom” that happened around 2008 when all of these websites became essential components of the Internet is coming up. It was the web’s coming of age. It was my coming of age. The world continues to shift from analog to digital, because everything is so much better that way. Pretty soon, analog will be a word that future kids will raise their eyebrows at. Analog clocks on walls have become increasingly rare with all of the digital devices around. Why look up at a clock now and figure out what the hands mean when you can look down at your phone or smartwatch and get the time (and weather) in an instant. Polaroid cameras – I still remember them. Gran had one. They’re still around certain places and not at all embarrassing to still use because you’re considered a hipster then. The original “Instagram” Instamatic. The iconic square border and timely shot slowly coming into focus. The nostalgia is so apparent. That’s what digital photography doesn’t offer. The physical feeling in your hand. The shaking to get the picture to develop faster. Going from a dusty brown to crystal clear life. The Polaroid camera was invented by Edwin Land in 1943. It was the first instant camera. A bit clunky and cumbersome then but better than waiting a week for one picture to develop in a dark room. The Polaroid company knew they had to venture into other realms and so new types of cameras came along, some without the classic instant picture film, some embracing social media and allowing you to directly upload your pictures to the Internet. Keeping tracks of our daily events is so much easier and organized now, but I do still love the classic photo album with the adhesive pages that make a distinct crackling sound. The song “Hey Ya” by Outkast has a catchy section of “Shake it like a Polaroid picture” which became a short dance fad of 2003 and 2004. The last time I used an analog camera, meaning one that had an actual roll of film in it, was about 5 years ago while on a vacation to Michigan City, Indiana. It was one of those one time use throw away cameras. That was the last time I went to one hour photo and had pictures developed and placed in a white envelope with the original film strip. Since then, it has become more and more easier to preserve my life with just a smartphone because everything I ever need is contained on there. One click shares these photos and videos with the appropriate social media outlets. Instagram is like the Polaroid picture of modern times. The window used for media even resembles a Polaroid instant picture. With the addition of likes and comments, your pictures have more meaning than when they were just lying around in a box or forgotten album. Humans are natural born timekeepers. We love to keep track of events and remember things for future generations. It’s a natural part of our DNA. We are storytellers through and through. Our lives are meant to remembered by others so that they have meaning and value. The more open minded we are about sharing our life with others, down to every little detail and thing we experience, the more connected and less isolated we feel.What’s the point of keeping it all to yourself if no one will witness it when you eventually take a ride out of here? So Mr. Hockey has died at the age of 88. He broke many records in the NHL and was only outdone by The Great One years later. With a career that lasted into his 50s, including 26 years in the NHL, and a physical style of grit and determination, he is definitely one of the greatest players of all time. Even Gretzky thinks Howe is better than himself. My personal story of this hockey legend will always involve one particular moment: an early, early version of the Ice Bucket Challenge involving a stick. The details are a bit murky and I may over-exaggerate things a bit, but this is a short anecdote of my first experience with really anyone well-known. The place: Optimist Ice Arena. The year: maybe 1995. It was at an old-timers game for players as old as 70. Me, my mom, and uncle were sitting near the glass because it was either free admission or tickets were super cheap (five dollars likewise). This game featured some of the greats from the NHL of past though I had no conscience feeling of what was going on or who was there. I was about 3 or 4 here and looked down at the bench most of the time, not interested in the action on the ice. I’m not even sure it was a competitive game but just something for the players to reunite and laugh it up a bit. The score of the game I cannot even theorize. Who was on what side is quite irrelevant. The hockey old-timers were racing down the ice when one of them suddenly stopped near the glass where we were sitting. I was prompted to look up at the player and felt a sense of chill as he stared back at me. Something was up. Something was going to happen. A few seconds passed before he scooped up some ice shavings on the end of his blade, lifted the fiberglass stick, and shook it over the board. A shower of cold ice fell down on my head. Like being in a freezing shower but worse. I instantly cried and buried my hands in my arms. The player just stared at me and then said “Sorry, kid” before skating on. Little did I know that I had just met Detroit Red Wings great Gordie Howe. So is an origin story of my brush with greatness.